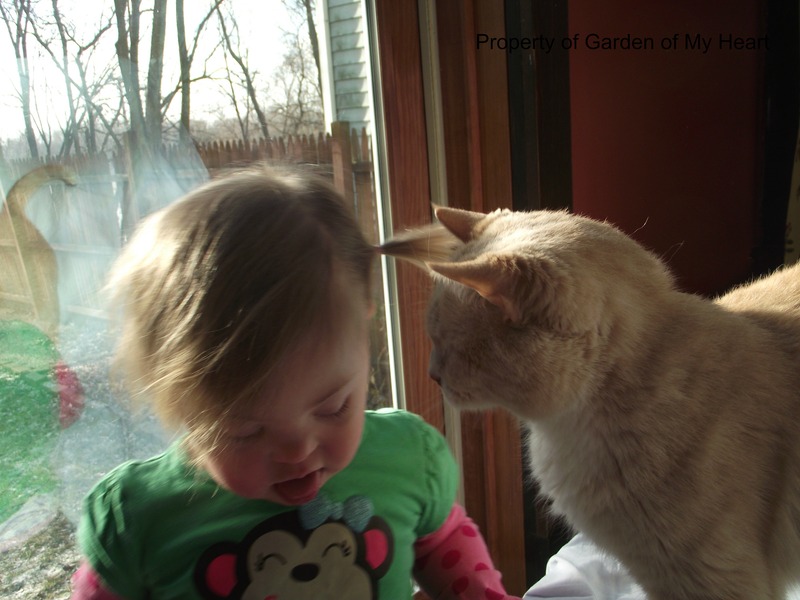 The Garden of My Heart | Dispatches from a life with Down syndrome. 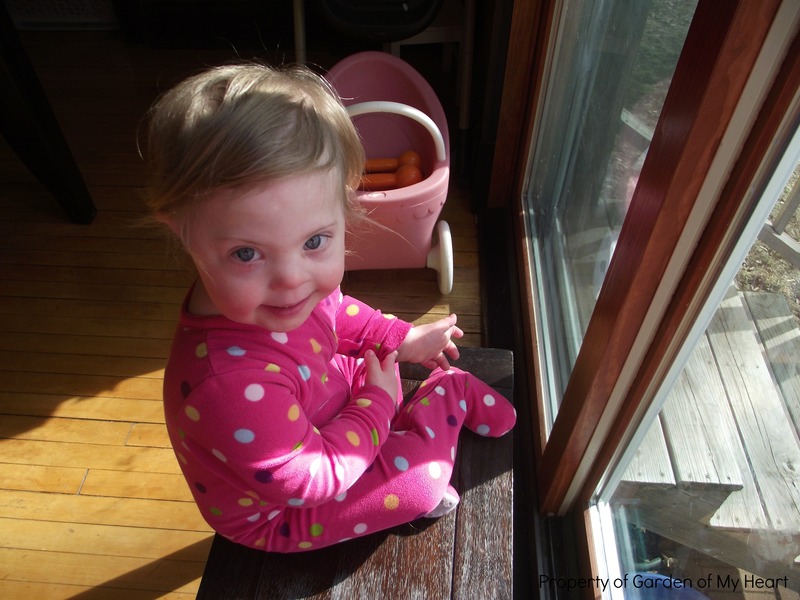 The Garden of My Heart Dispatches from a life with Down syndrome. Blog hopping this week! 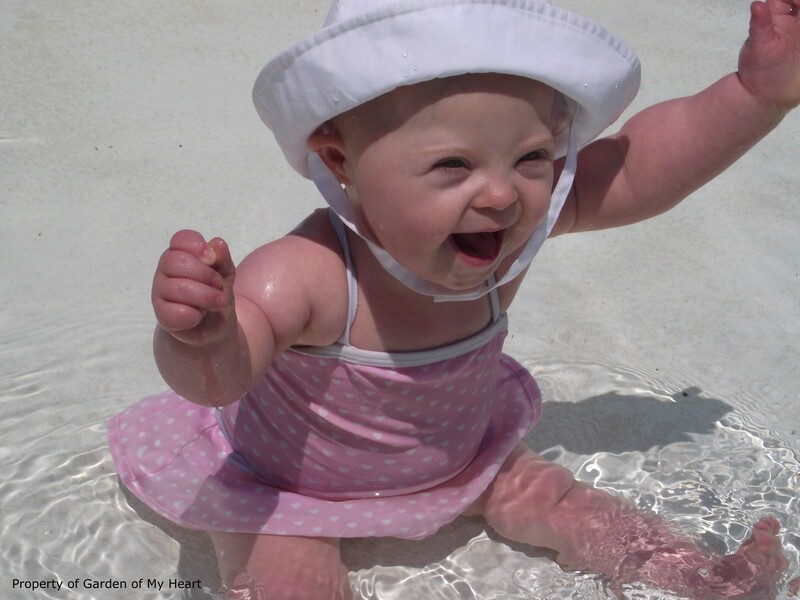 Check out everyone’s favorite summer time memories and traditions on the Down Syndrome Blogs Blog Hop! 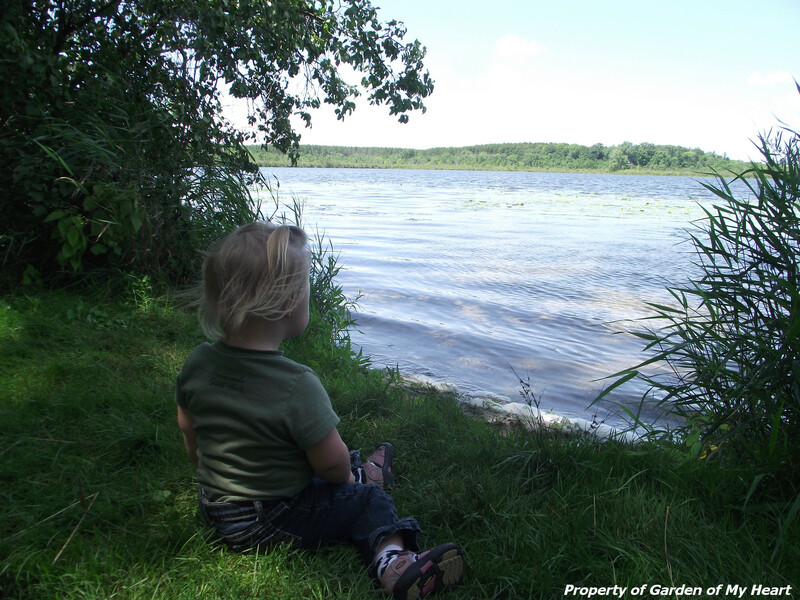 So what do I love about summer, and what do I hope to share with Rowenna? It’s the sound of summer. It starts with being able to finally leave windows open and waking up to fresh air in the house. Hearing the hum of lawn mowers and the delighted chatter of neighbor children without being muffled by layers of glass. The buzz of cicadas and bees, the birds chirping. Neighbors barbecuing, eating outside and laughing. Everything and everyone just sounds so alive, relieved to be up and about after winter. The sound of wind blowing through leaves and rain pitter pattering through the trees instead of the cold creaking of branches in the winter. It’s the movement of summer. The digging and hauling and weeding. The mowing and trimming. The jogging and biking and swimming. The long road trips and impromptu stops along the way. The strolling and sunbathing instead of the hurry up to the car to get out of the cold. It’s the taste of summer. Fresh berries, watermelon, corn on the cob. Things we can eat all year but taste the best when they are local and fresh. Popsicles and ice cream. Burgers off the grill. Fair food you know you shouldn’t eat but indulge in anyway – things that are deep fried and sugar coated. It’s the light we get in summer. The cheerful morning sun, the hazy heat of the afternoon, the endless pink-and-orange sunsets. Long patches of sunlight that move lazily across the living room floor. Dappled spots of sunlight as you sit under a big leafy tree. It’s the promise of summer. The green shoots popping up in the ground, plants that will be heavy with tomatoes and peppers. The endless days with so much time to have fun and move and grow. Seeing people you haven’t seen all year. Staying up long past bedtime to sit around a fire, watch a movie, talk. I want summer to be a golden time for Rowenna, full of rich memories and new experiences. And if our past three summers are any indication, I think summers will be a bright spot in her memories! Our wonderful cat Jax is missing. He’s been part of our family for over 7 years, very much a fixture in our daily lives. 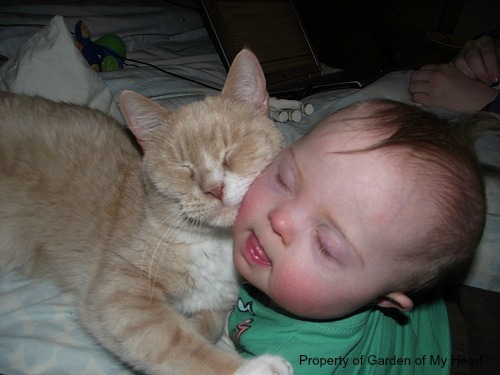 Jax has always been a special cat – always purring and licking us, content to just be with. A good traveler and always happy to see you. We often joked that he must have a bit of dog in him for the way he would meet you at the door when you came home, lick you much like a dog does, or even play fetch. And he was always, always purring. He was a bit of a goofy little cat and has never been big on survival skills. In fact, he’s tried to jump into his fair share of in-use fireplaces, hot ovens, and even set himself on fire once by getting a little too curious about a gas stove. He was also chronically ill during his life with us. We tried everything to help him (including visits to an animal acupuncturist and a foray into herbal treatments when antibiotics simply stopped helping), but it became clear that he was just a sickly little cat, happy despite his constant sneezing and coughing. 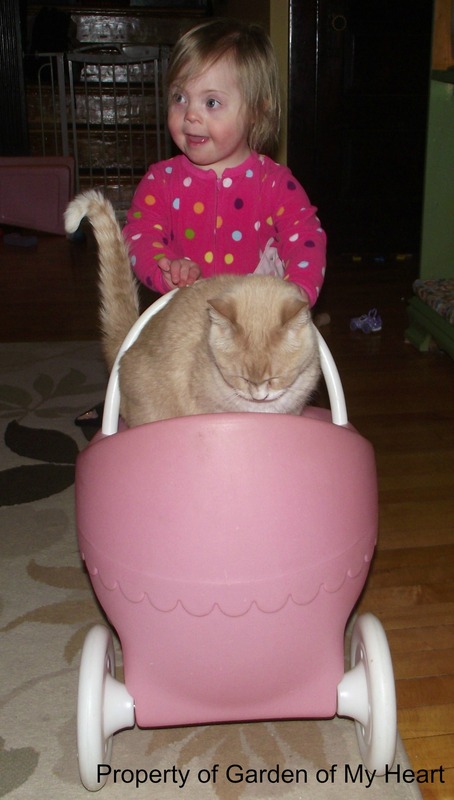 When we brought Rowenna home from the hospital, the first thing he did was climb right into her car carrier and purr. When she was doing tummy time or laying on her back gazing up at her toys, Jax would snuggle alongside her. He was the reason she first sat up, rolled, crawled, walked, and climbed. (He quickly earned the nickname “therapy cat.”) When she cried, he would gently bump her with his head and give her a few licks. One of her first signs was “cat.” The two have been a pair from the start. It was love from the start. We have been working hard on teaching Rowenna the concept of “gentle” and she generally went by these guidelines, but even when she didn’t, Jax would simply flop over and purr. He never once hissed or bit or scratched anyone for any reason. Yes, Jax is riding in her baby carriage. 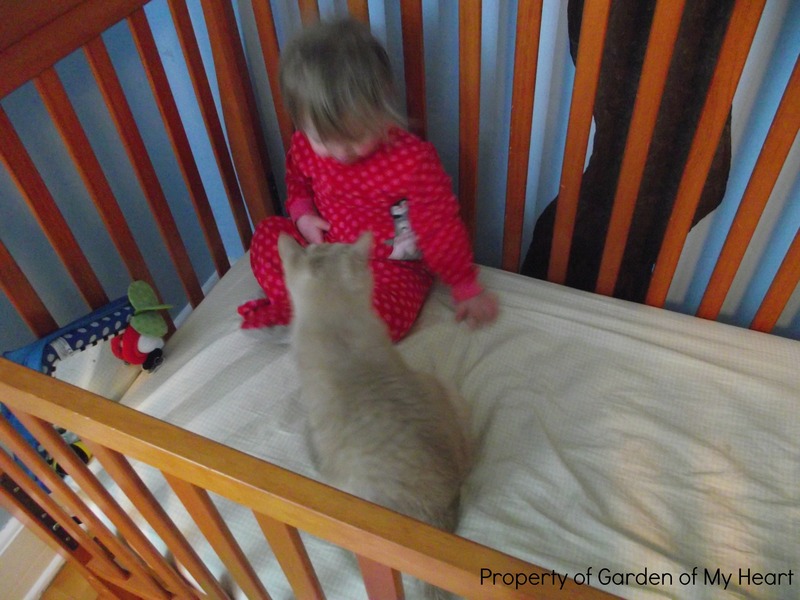 He would sometimes sleep under her crib, and more than once I went to wake Rowenna in the morning only to find the two of them having a little morning conversation, Jax purring and Rowenna grinning ear-to-ear. Our other cat, Milo, recently pawed open a door and Jax snuck out. I don’t really understand why – he rarely showed an interest in straying very far from his beloved Rowenna – but away he went. We made fliers, talked to neighbors, walked our block, and hiked through the woods behind our house and the neighbors’ houses. We left out bowls of kibble and his favorite blankets and pillows. We registered Jax as missing with the local shelter and the police department. Rowenna’s been walking around the house signing “cat” and making the purring noise she associates with Jax. (She’s rarely heard him meow, he’s always purring, and it’s little wonder she thinks cats make a purring noise despite us trying to teach her it’s really “meow.”) She has a very clear circuit that hits every part of the house she shared with Jax. A cubby under our tv for snuggling, our bed where we played with Jax in the mornings, the sliding door where they sat together, soaking in the sunshine. She’s been clutching his toys and laying her head on his pillow, crying. One night she sat at our sliding door for over a half hour while signing “cat” and crying. Nothing I did could console her, so I ended up just rocking her and crying along with her. We’re trying to acknowledge her desire to see him while trying to explain he’s no longer here. We use words we think she can understand, but how do you explain to a three year old that this creature she loves more than anything is simply gone and isn’t coming back? And while watching my sweet girl miss her cat is breaking my heart, I am bracing myself for the thing I know is coming that will be even worse: the day I realize she didn’t once go to check the cubby, the day she didn’t sit at the back door and sign “cat.” The day she gives up on him being there. Maybe one day Jax will come back to our family, but I can’t say we’re holding much hope that it will happen. He’s slipped away. We only hope now that he is safe and happy out there on his adventure, and if he is found, found by a gentle and loving family that will appreciate him, sneezes and all. Soaking up the sun together. When she was born and we were swept up into a world we never dreamed we would be part of, all the appointments and therapy and what ifs, it seemed like three was so far away. Three, with its built in transition from early intervention to public school. It was hard to imagine what life would be like with this child who felt like such a mystery. This child whose future felt shrouded by the trappings of Disability World. Yesterday, something happened that fully sums up what it’s like to live with this sweet girl. The answer to the mystery of what will be. We went to the public library to choose some books for the weekend and to allow Rowenna to blow off a little steam. I had forgotten the library opens later on Fridays than other days of the week and we arrived to locked doors and a handful of people waiting to get in. Ever unflappable, Rowenna took this as an opportunity to walk around and chatter with the people waiting to get in. Most were happy to say hello and engage with her. There was a man off to the side, crouched on the ground, not part of the main group of people waiting. He had his hood pulled up over his head and a large back pack stuffed full sitting at this feet. Everyone was ignoring him. Granted, he was giving off a “don’t look at me vibe.” Maybe he was having a bad day. Rowenna took to walking up and down the sidewalk, pointing at cars and chattering her stream-of-consciousness as she often does on a walk. She rounded the corner and came upon the man with the backpack. She cocked her head and looked at him, then his back pack. He didn’t say anything as Rowenna approached and she ducked down a bit so she could see his face under his hood. Then she gave him a huge smile and said hi. No response. Rowenna turned and walked up and down the sidewalk again, then came back to say hello to him. She did this a few more times and got no response. Finally she rounded the corner one last time and squatted in front of the man, though kept her distance. She looked up at him, right into his eyes, and rattled off a string of delighted chatter, fixing him with a wide smile. And there it was. The man pushed his hood back, shook his head in disbelief, and gave Rowenna a big, beautiful smile. She said hi again and he said hi back before standing up to head into the library, still shaking his head and smiling. And that “don’t look at me” vibe? Gone. This girl of mine has the uncanny ability to pick just the right time to do this. She is never pushy, always gentle. She gives people space but seems to know exactly when to give them a smile or a pat on the back, to draw them out a bit and make them smile. And when she looks at you, she’s really looking. She’s seeing you. And at the heart of it all, isn’t that what we really want? To be seen? I don’t know all that’s to come for my sweet girl, but I do know this: it is a future filled with her kindness and gentleness of spirit. A future of seeing others and of being seen. I wouldn’t want things any other way. That’s the third I’ve lost, the third in a row, and my fourth pregnancy. Lost before we knew boy or girl or had much time to dream about who might be joining the family. There’s not much to say at this point, though this third loss magically opens a door to all kinds of testing and lab work and interventions should we choose it. But I’ll never have the answer I really need: why my babies came to me only to leave again so quickly. And I don’t know how to regain the other thing I need: hope. Hope that Rowenna might be a sister, hope that a beautiful plus sign on a pregnancy test might end with a sweet baby in my arms. Hope that when I share our news I won’t later be tearfully sharing a loss. It seems like such a simple thing to wish for, doesn’t it? A child. Something that seems to come so easily to so many people. It feels like wishing for water but finding only a well run dry. Wishing for food but finding none. Such a simple wish, such a basic, instinctual thing to want: a child. And when it’s given to you but taken away again in the blink of an eye there is nothing left but a hole in your heart, a hole that can’t be fixed, and an endless list of questions that can never be answered. Nothing can replace a baby that is lost. That unique being, that single instance of chromosomes and cells and life will never be replicated. Not much to say, and not much to do but move forward. Slowly. One foot after the next. Wondering, always wondering. Today was Rowenna’s last day of Montessori preschool. For the end of the year program, parents joined their children in a circle as they sang their favorite songs with their teacher. The children either sat on carpet squares or on their parents’ laps in the circle, singing and performing hand actions. Rowenna? She was walking around inside the circle, smiling and happily gesturing along with the songs. She was the only child moving around. It was apparent that Rowenna wasn’t doing it for the attention (the “awww” factor from the audience) but from a need to simply move her body. Since this is a Montessori school, her teacher did not try to have Rowenna sit down. As long as a behavior is not harmful to another child or too distracting for an activity, children are usually left to make choices like this. (Her teacher had also pre-emptively let me know that Rowenna would probably do this and that it would be fine with her.) And while Rowenna was the only one standing and the only one moving, she wasn’t terribly distracting. In fact, I got the distinct impression that her classmates are used to her doing this, and even heard a delighted exclamation or two from her classmates of “Look at Rowenna dance!” I’ve learned more than once over the course of this year that children really are so accepting of differences and the things that might cause an adult to raise an eyebrow are simply seen as a classmate embodying her joy. But while watching my girl soak up this music and participate in her own way, I stole a few glances at the other parents. Most were absorbed with their own children – and rightfully so – but there were a few casting quizzical glances at Rowenna and occasionally looking back at me. Clearly, my child was not demonstrating age-appropriate behavior. Even the 18 month olds in the group were sitting quite happily as they sang. Clearly, there was something different about Rowenna, and in those quizzical glances I could see them trying to figure it out. Rowenna was crossing A Line by not sitting with the other children, but she was also quite obviously happily engrossed in her movement. Sometimes I wonder about The Line. The Line between allowing Rowenna to simply be Rowenna and helping her understand social boundaries and customs. Maybe that seems too much to consider at such a young age, but considering Rowenna’s slow – but steady – learning curve, it’s good to plant little seeds ahead of time and to watch them blossom later. Where’s The Line between simple compliance and autonomy? What do I take from her if I insist that she simply comply? But what do I take from her by allowing her to act on impulse? Where is The Line, and how do I successfully straddle it so Rowenna has some autonomy, but also some understanding of what it means to live in a society, to be a friend, to be a classmate? When do I meet her where she is developmentally, and when do I ask for age appropriate behaviors? Is Montessori, with its safe environment for exploring things of interest to Rowenna, the best choice for next year? Or would a more structured environment that functions on the idea of compliance be the better choice? And I suppose that brings me back to what we’ve been turning over in our minds all year – what is the best school environment for Rowenna? What is the purpose of a 3 year old attending school? Do those reasons apply to Rowenna and if so, in what way? And as always, I’m left with many questions and nearly no answers, but time enough to figure it out. It’s Mother’s Day and I want so much to simply celebrate the girl who made me a momma. I want to be able to say I’ve been pregnant once and have one beautiful girl. I want to go back to the time when pregnancy meant a baby in 40 weeks, for my family to grow, for my girl to be a big sister. But here I am, three pregnancies and one sweet girl and the knowledge that babies don’t always stay. Knowing you can watch your belly grow only to have it fall slack. It’s days like these when I long for the baby that should have been in my arms for months now, or to run my hands over a big pregnant belly, just three weeks from Clementine’s due date. It’s days like these I ache with loss, when it seems my entire facebook feed is full of babies and bellies, and I’m here with my girl but also a sense of emptiness. These kinds of days are few and far between for me now, but the idea that I should be celebrating my motherhood and womanhood just doesn’t ring true this year. It feels empty and like I’ve failed in some way. Since sharing Clementine’s loss, I’ve heard from many of you, and for that I am grateful. It seems there is a large, silent sorority of sorts – women who carry a secret pain the world cannot handle hearing about, or maybe we cannot bear to talk about. There is no secret handshake or sign to know we’ve crossed paths with one of our sisters. Maybe just a sad smile when they hear you stumble over saying you have one child but hope so much for one more. Or the shared cringe when someone offers some well-meaning, but ultimately hurtful, advice. We plan to spend the day arranging our flower pots and prepping the vegetable garden. I want to sink my hands in the earth, that cool and calming home for things that grow. I want only to plant and water and nurture. 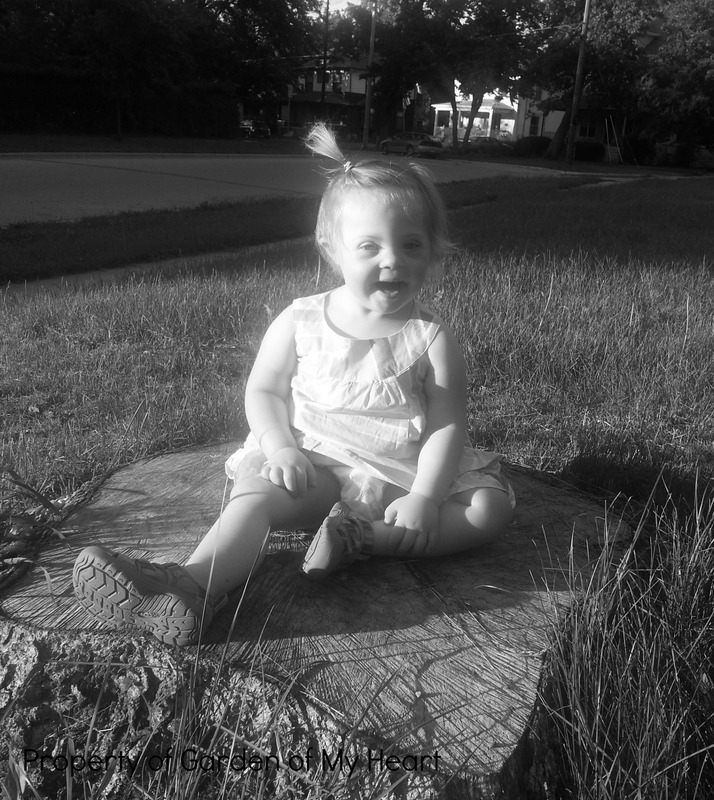 To watch my girl explore and dig and hear her shriek with delight at the sight of colorful blooms. And that’s what we’ll do, just the three of us.